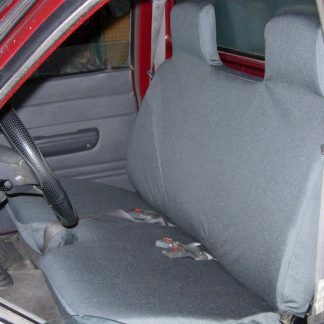 Seat cover is two peice Bottom and Top. Two Wheel Drive Regular Cab Solid bench seat with integral/non-ajustable headrests. 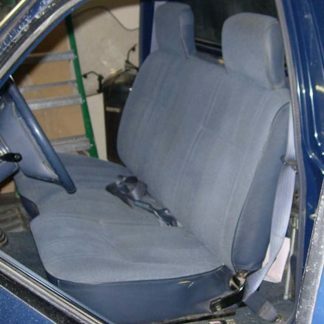 Seat has shallow dip in the center of the seat bottom (see picture 2).